What is a ground heat pump or earth energy heat pump? The ground heat pump technology is a form of “green” heating that has been around since the 1940s. 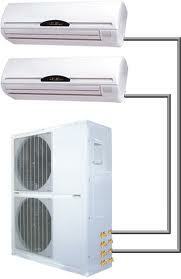 Ground heat pumps are fairly new developments in the heating and cooling technology world. But they are quickly gaining popularity due to their ability to save people a good deal of money with lower energy bills. Often these systems are considered to be “green” since a ground source heat pump uses the stable temperatures found underground to transfer heat from earth or water sources to heat the interior of homes and buildings. 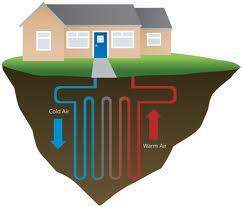 Ground heat pumps or geothermal heat pumps were first theorized in 1852 by William Thomson, 1st Baron Kelvin. Lord Kelvin was an Irish born physicist who became rich and famous for his work in telegraphs, but who was also widely known for his work with “thermodynamic (absolute) temperatures”. The Kelvin temperature scale was named in his honor. But a commercial working earth heat pump or ground source heat was not developed until a Robert C Webber created the DX (direct exchange) system in the late 1940s. Webber, a cellar inventor, was messing about with his own deep freezer. While experimenting he dropped the temperature and discovered (by almost burning his hand) that the outlet pipes had become extremely hot. At first all ground source heat pump systems, like Webber’s DX or Direct Exchange system were more suited for heating smaller spaces like homes or other residential buildings. Later on improvements allowed a type of earth based heat pumps or ground source heat pump to utilize water. This water source design change increased their heating capacity and made them very popular for use in industrial or commercial buildings and facilities. But while water based systems, advanced rapidly, the smaller, original direct exchange or ground heat pumps fell behind. As fossil fuel furnaces are becoming more expensive to run and air source heat pumps fail to compete in harsher winter climates, many home owners and heating specialists are seeing the old, direct exchange ground heat pumps in a different light. First is thing in favor of ground source heat pumps vs. traditional heat pumps is the heating efficiencies. 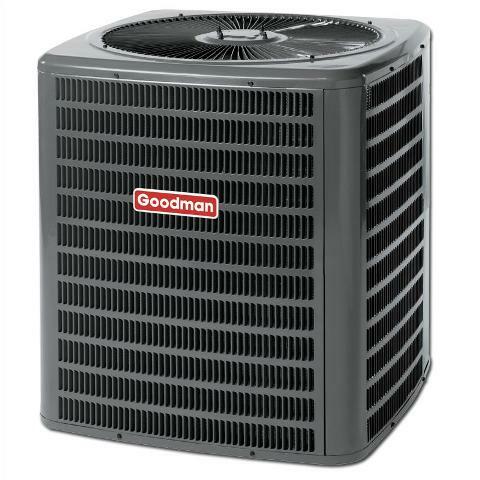 While a standard heat pump can pull warmth from air as cold as 32 degrees Fahrenheit, any temperature lower than that and the heating efficiency drops ways off. 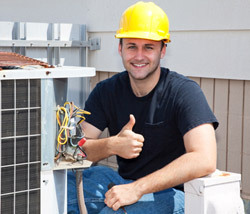 The colder the outside air temperatures are the more energy the heat pump uses to keep pace. And as many home owners can tell you, in extreme cold temperatures heat pumps just can’t keep a house as warm as other methods of heating. But even during the coldest of days, ground heat pumps have the efficiencies that range anywhere from 300% to 600% compared to a regular pump, which only has 175% to 250%. This dramatically reduces overall electric power usage and because a ground source heat pump has a smaller heat exchange loops than a large water based system, it can be installed just about any place. As you can see, ground heat pumps may be just the solution to your heating pump problems if you live in a very cold environment. A Geothermal heat pump is powered using the principles of heat transference and thermal physics. Heat transfer is the action of extracting heat from one material and transferring it into another. Using the steady temperatures found deep underground, geothermal heat pump systems extract the heat found within the earth or ground water and uses it to heat a home on the surface. In hot months, such a system extracts the heat from inside a home and transfers and releases it underground and by way of a refrigerant brings the colder temperatures to surface to air condition the house. 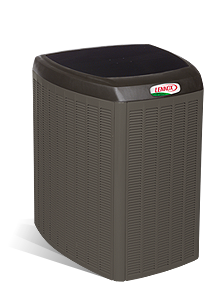 Since these units can be installed in just about every locale or any size residential or commercial building, they are quickly gaining in status as the heat pump for the 21st century. 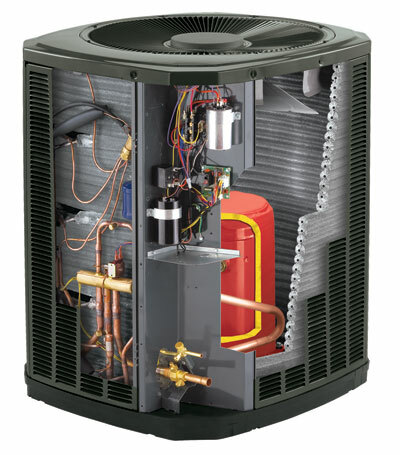 Like most standard heat pumps, ground heat pumps are comprised of two major pieces of equipment: the outside unit (which is basically an underground piping loop, a flow control center); and a inside unit (which is the air handler which circulated the air within in the house). 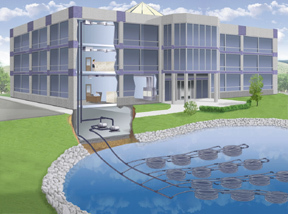 An open loop system pulls in water from a well or underground spring and uses it to heat or cool the house and fill the hot water tank system. After the water is used to heat or cool the home, it is either released back underground or in a surface drainage structure. A closed loop system uses a mixture of water and ammonia as a refrigerant, which is distributed in an endless loop of pipes from underground, up to the to the surface where it is used to heat or cool the house and then it is pumped back underground again. A pipe loop can be either dug down vertically or spread out horizontally. The most common configuration is in a horizontal loop since it the less expensive. But if ground space is restricted, as in an urban setting, then a vertical hole can be drilled straight down. The pipe loop can be as long as 250 feet to 1000 feet depending on the surrounding soil, bedrock and the loop design. 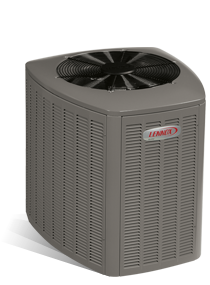 Ground source heat pumps can be found in almost every state and can be setup by a certified heat pump contractor. But you may want to look around and find contractors who have had lots of experience installing these types of unit. While a Geothermal heat pump may not be suitable for every family, if you want save on energy bills for the next 15 or 20 years, you may want to consider replacing your upgrading your old heat pump to a ultra-high efficiency geothermal heat pump system. They use 25% – 50% less electricity than conventional heating or cooling systems therefore you can reduce your energy consumption. Huge savings can be made on consumption costs due to its high efficiency. Geothermal heat pumps improve humidity control. They are highly reliable and durable because they have few moving parts. The main unit is located inside the home therefore no damage can occur from bad weather conditions. Environmentally friendly due to the use of “green” technology. Very safe as there are no open flames or gases involved.